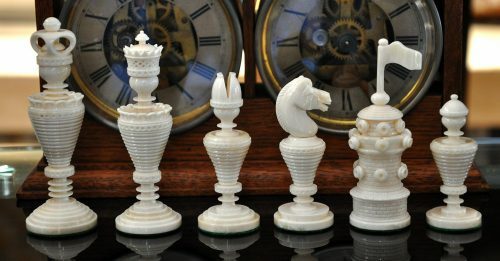 Offered here is a new set Anglo-Dutch Reproduction Bone Chessmen. This magnificent reproduction is offered in natural and Red-Stained Camel bone. 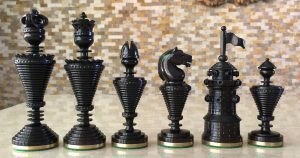 The King stands an impressive 4-1/2” tall with a base diameter of 1-1/2”. These Anglo-Dutch Reproduction Bone Chessmen are unweighted, as were all bone and ivory chessmen. 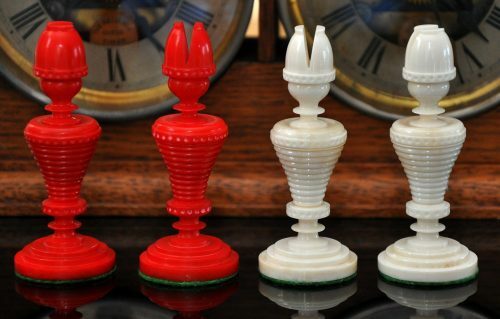 The pieces are cushioned with green baize base pads. The Kings sit atop gold-embossed English leather discs. 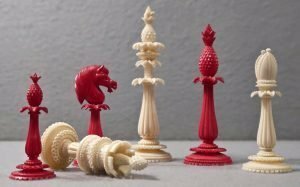 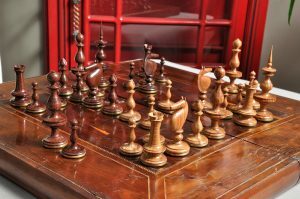 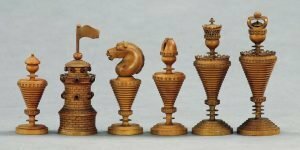 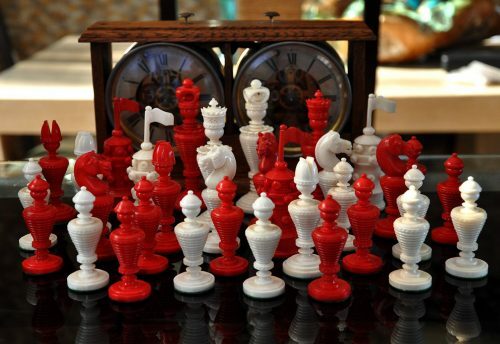 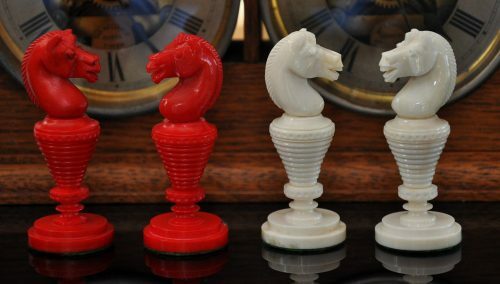 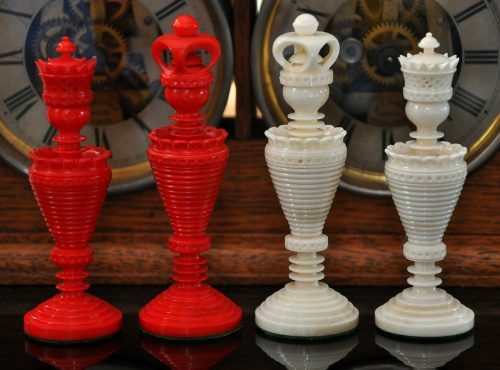 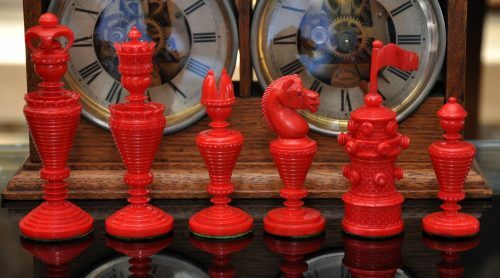 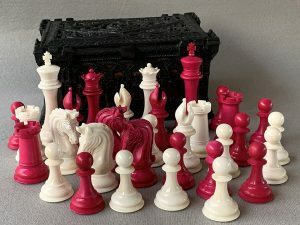 These majestic chessmen are best played and displayed on a chessboard with 2-3/8″ or 2-1/2″ squares. This is a new set and is part of the Frank Camaratta Signature Series. 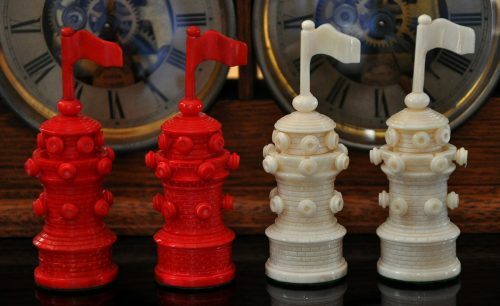 Each set is numbered. Only six sets will be produced.